You'll also get an easy comparison table to compare the PAX 3 to its direct competition like the DaVinci IQ. The best part? You're getting simple but effective tips to optimize the performance of the PAX 3. The PAX 3 is a beautiful little vaporizer. Its futuristic shape and aluminum polished outer shell truly make it look and feel like a luxurious item for trendy people. It’s built like a tank and can take some serious beating. The PAX 3 can survive any drop and any weather. It's a great choice if you're looking for a vape to take with you for outdoors activities like skiing, hiking, festivals. The PAX 3 is very susceptible to scratches. This is unlike the PAX 2 which has a brushed aluminum outer shell that’s scratch-resistant. So even though the PAX 3 looks shinier with the polished shell, in my opinion, the brushed aluminum shell of the PAX 2 is even better for durability. As you can see there's mostly metal and no glass inside the PAX 3. Metal has some pros over glass, but glass has some pros over metal. Pros of glass: glass is absolutely the safest material and best for flavor. Overall, the PAX 3 is a very well designed portable vaporizer. It’s beautiful and extremely sturdy at the same time. If there’s one category in which the PAX 3 absolutely excels, it has to be portability. Even though it's not the smallest portable vaporizer in our arsenal (the MIQRO is slightly smaller for example), we argue that because of its amazing battery-life, the PAX 3 will be the best choice for most vapers that are looking for a pocket-vape for on-the-go. 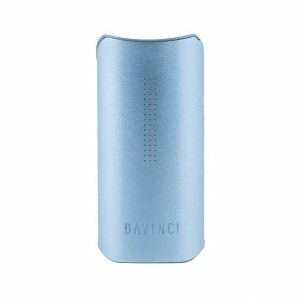 Think of a vaporizer that easily fits in the palm of your hand or pocket. Well, the PAX 3 is even smaller than that. 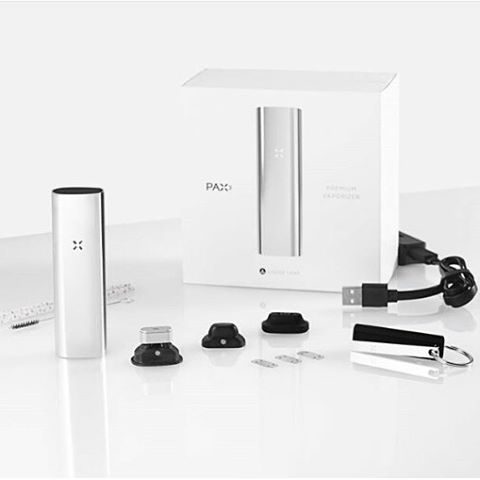 Although the DaVinci IQ and especially the MIQRO are slightly more compact than the PAX 3, the PAX 3 is already small enough to be qualified as a pocket-vape or tiny vaporizer. 3.87 x 1.21 x 0.85 inches (9.3 x 3.1 x 2.2 cm). It’s not only small, but very lightweight as well. It only weighs 95 grams, you will barely feel it in your pocket. If discreetness is important to you, look no further than the PAX 3. Has an extremely quick heat-up time (15 seconds). 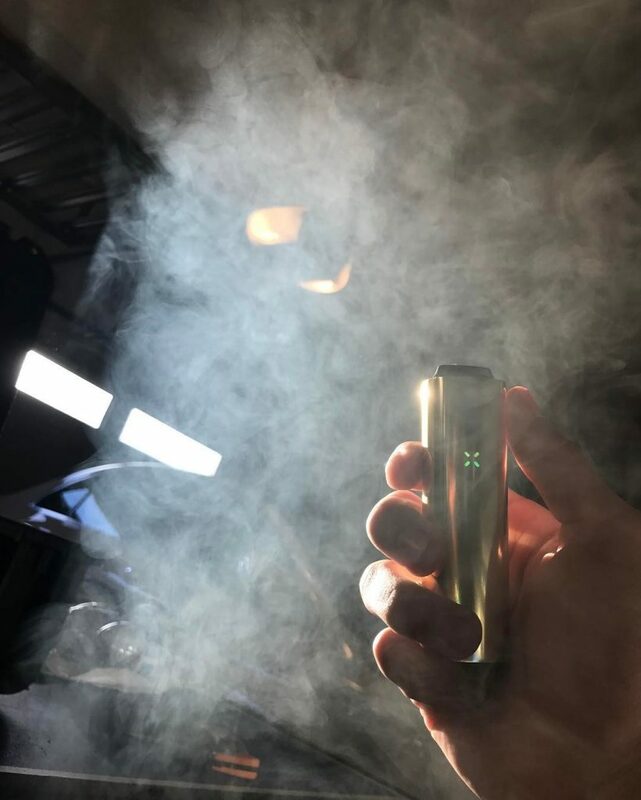 Pull your PAX 3 out, have it ready in 15 seconds, take some puffs while covering it with the palm of your hand (no mouthpiece so no one will easily associate it with vaping), get medicated, and sneak back into the shadows. Because the oven lid is not air-tight, the PAX 3 is quite the smelly vaporizer. When you’re vaping, anyone around within a couple of meters will smell the beautiful smell of your herb. Now, if I was that person, I would be glad and thank you for it, because quite frankly, I love the smell of herb. But if you need to be discreet, this can be a serious hindrance. The smell doesn’t linger around for long and if you empty your bowl quickly after you’re done with your session, you will minimize any after- or ABV-smells coming out of your unit. PLOOM PAX absolutely aced it with the PAX 3's battery. But they had already aced it with the PAX 2, and the PAX 3 doesn’t see any improvement in this area. You still get an extremely solid 90 minute of continues use. Only a few portable vaporizers will get you more. And none of the other pocket-vapes (small vapes) will get you more battery life than the PAX 3. The charge-up time of the PAX 3 is 2-3 hours with a standard USB-charger. USB means you can basically charge up your PAX 3 anywhere these days, which is great if you’re on the move a lot. Just always make sure that you use your PAX 3's cable and not any other random USB-charging cable like your phone's. But with 100% conductions vaporizers, which are properly designed, such risk simply does not exist, as long as the air path is fully separated from the heating element as well. In a full conduction vaporizer, your bowl is what heats up your herb. And the heating element is what heats up your bowl. If your vaporizer is properly designed, the heating element does not come into contact with your herb at all (only with your bowl). Now, why did I say “as long as the air path is fully separated from the heating element”? IF there’s a risky heating element in your vaporizer (with materials like lead, plastic or silicon near it or even inside it), it can still pollute the air in your vaporizers air-path, and therefore the vapor you inhale. Therefore it's always preferred that your vaporizer's air-path is separated from the heating element with conduction vapes. With convection vapes this is impossible, that's why with convection vapes the safety of the heating element becomes even more important. The air path of the PAX 2 is fully separated from the electronics, including the heating element. Which means you don’t risk inhaling toxic fumes with the PAX 2. Although I haven't seen the internals of the PAX 3, I think it's safe to assume that the PAX 3 is designed the same way. Then onto the materials. The vapor path and bowl are made of surgical grade stainless steel and the mouthpiece is made from heat-resistant and food-safe plastic. This is all fine from a safety perspective. The only tip I would give is to keep your bowl clean. 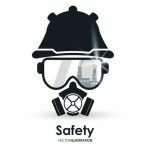 Because acidic substances like resin do have the capability to corrode stainless steel and make it leach chromium and nickel, both of which can be toxic if ingested in sufficient quantities. If you’re looking for big clouds, the PAX 3 has got you covered. No, it won’t produce monster clouds like the MIGHTY or CRAFTY, but big enough for most. Now, I’m not exactly sure why, but with full conduction vaporizers, I simply need more hits to reach comparable levels of medication compared to hybrid (conduction and convection heating colmbined) or convection vaporizers. So even though the PAX 3 can produce big clouds, the clouds coming out of a Firefly 2, MIGHTY or Boundless CFX help me reach higher levels of medication quicker (the last 2 being really crazy in that regard). The PAX 3 hits hard enough for most, but if you're looking to take huge hard-hitting rips, I recommend to either get a very powerful portable vaporizer like the MIGHTY or CRAFTY or any desktop vaporizer (desktop vaporizers always hit harder than portable vaporizers because of their access to more electricity from an outlet). For a conduction vaporizer, the PAX 3 provides really good flavor. With most conduction vaporizers, the flavor deteriorates fast after the first few hits. But the PAX 3 keeps the flavor relatively constant throughout your session. Only after 5-6 hits it starts to deteriorate a bit. I attribute this quality to its auto-cooling mechanism, which makes sure the heating element only heats your bowl when you’re really using your unit (through lip and motion sensing). 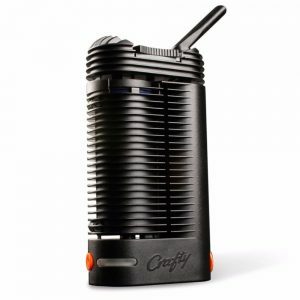 Although the flavor is good, it can’t compare to a convection vaporizer like the Firefly 2 or hybrid vaporizer like the MIGHTY. So if you’re a flavor-purist, check out these vapes instead. The vapor does get harsh on the highest heat settings. So if you’re a high-temp vaper, get a nice water adapter and bubbler for your PAX 3 (read about these in the tips and tricks section at the end of the review). This is where PLOOM PAX did improve the PAX 3 a bit compared to the PAX 2. Both the PAX 2 and 3 have a large oven (0.3-0.4 grams), and the nature of conduction vaporizers makes it so that you really need to pack your oven tightly to get proper vapor production. This means that without an extra accessory, you can’t put any less herb than 0.3-0.4 grams in the PAX 3 for it to function well. With the PAX 2 this extra accessory, the half-pack oven lid, you had to purchase separately. With the PAX 3, the half-pack oven lid is included with your unit, which means it’s more efficient straight out of the box. Even with the half-pack oven lid, the minimum amount you need to fill the bowl with to get proper vapor production is high compared to some other vapes like the Firefly 2 or Arizer Solo 2. For a conduction vaporizer though, The PAX 3 is efficient. It’s more efficient than the Boundless CFX or Flowermate vaporizers for example. 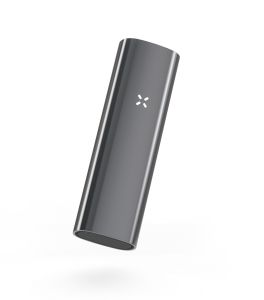 Imagine such a sleek and futuristic looking vaporizer as the PAX 3, being extremely difficult to use. Now that would be a huge anti-climax. Fortunately, the PAX 3 is very easy to use. What learning curve? There is none. 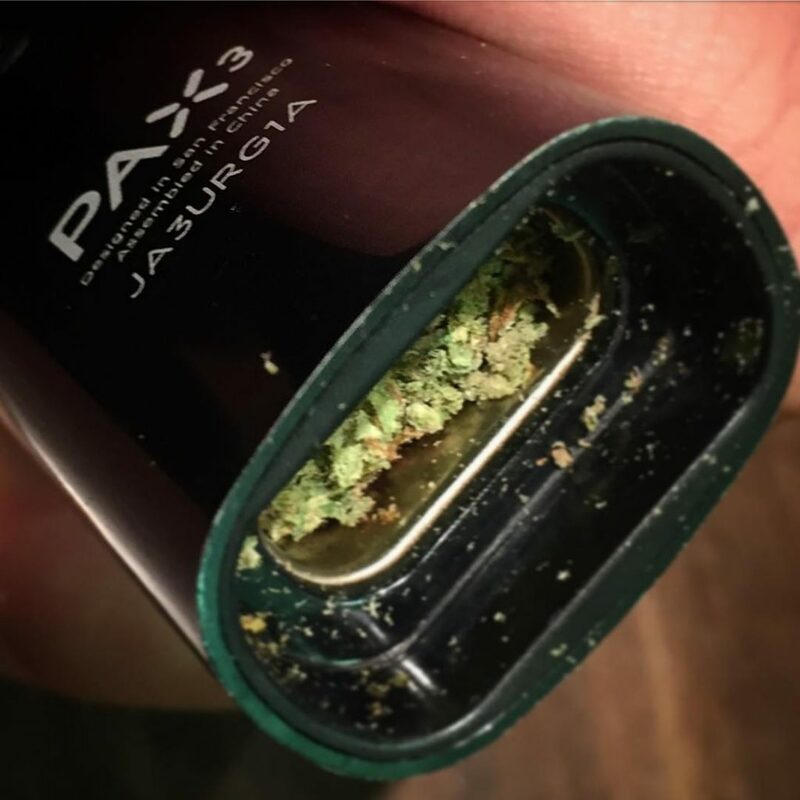 Compress your herb slightly (not too much) with the PAX loading tool. The rest really just speaks for itself. Turn your PAX 3 on, pick your temperature and start drawing. There’s no specific draw technique involved. But I like to take slow and controlled draws. Now, if you want full extraction of the goods (cannabinoids, terpenoids etc.) in your herb, you do need to stir your oven every 4-5 draws. But even without stirring the extraction will be good. Compressing your herb in the oven works great for proper vapor production with the PAX 3. But it also hinders airflow in the oven. And hindered airflow means draw-resistance. 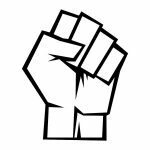 So yes, the PAX 3 definitely has some draw-resistance. It has more draw-resistance than the MIGHTY, CRAFTY. It’s less than the Firefly 2 though. Phone apps for vaporizers sound gimmicky to me. That's why I absolutely hate it if you need the phone app to get access to all the functionalities of your vape. The core functionalities of the PAX 3 are controllable without the app. 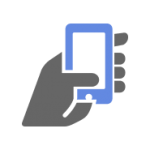 But some of the extra functionalities, which are part of the PAX 3 upgrades, are not controllable without the app. Lock your unit to prevent anyone else from using your PAX 3. I do think this app is a bit gimmicky. But you can see it as an extra, as the PAX 3 works fine without the app as well. The screen is the most important to keep clean and will need the most frequent cleaning (every 4-5 sessions). The other parts you can clean every 8-10 sessions. Pop the oven screen out and let it soak in ISO alcohol for 5-10 mins. Clean your mouthpiece, oven and oven lid with this Q-Tip. Let everything dry properly and re-assemble your PAX 3. It’s an easy process and will take only 5 minutes, so you can get on with what really matters quickly: producing big and tasty clouds with your PAX 3. Note: NEVER soak anything else than the screen in ISO alcohol. It’s ok to rub the other parts with tools that are dipped in it though. The PAX 2 had an interval-based temperature control system. You now also get precise temperature control with the phone app. Which in turn gives you full control over the effects of your vapor. 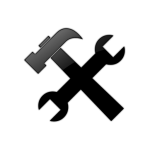 Stealth: Low temperature, fast auto-cooling, dimmed lights. Best for discretion and good for efficiency. Flavor: Regular temperature with occasional boosting, fast auto-cooling. Best for flavor and good for efficiency. Now, these profiles look fancy and they do work to a certain extent. The heat-up time is 15 seconds, which is really fast. 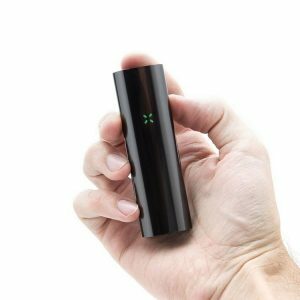 Essentially, the PAX 3 is a session-vaporizer with an on-demand heat-up time. PLOOM PAX has been making vaporizers for 5+ years, and their reputation is undisputed. Always honor the 10-year warranty. Yes, you get a 10-year warranty with your PAX 3. 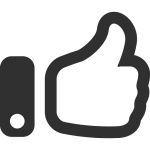 Which is not only rare in the vaporizer-industry, but also gives you the confidence you need to spend your hard-earned money. Although the PAX 3 hasn’t been out for 5+ years (in 2019), based on the earlier versions (the original PAX and the PAX 2), I’m pretty confident that this is one of the most reliable portable vaporizers you can get. Keep functioning like new for a very long time. The only problem is the battery is not swappable, and no matter what you do, every batter degrades over time. 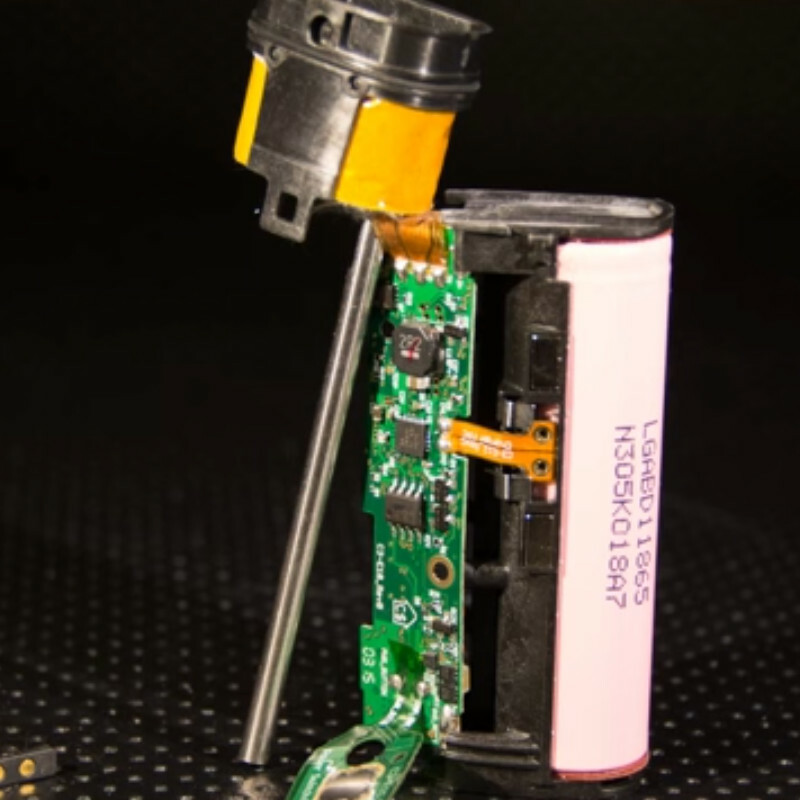 There’s no easy way to replace the battery once it starts degrading. My PAX 2 still gives me close to the same on-time as when I first got it 4 years ago. This is much better longevity than the batteries from Storz and Bickel portable vaporizers for example (CRAFTY and MIGHTY). The PAX 3 is the most reliable and easiest to use pocket-vape on the market at this time (2019). Not only can the PAX 3 be dropped, thrown or chewed without degrading in performance, it's very easy to get the same performance every time with your PAX 3. This pokcet vape has no learning curve whatsoever and delivers great clouds that taste well each and every session. If you already have the PAX 2, getting the PAX 3 isn't a life-changing upgrade. Precise temperature control with the app, for full control over the effects of your vapor. If you don’t have a PAX 2 yet, IMO it’s worthwhile to pay the extra $80 for the extra versatility the PAX 3 provides. Plus, you get the half-pack oven lid, which you would have to buy separately for the PAX 2, which makes the additional cost only $60. If you have a PAX 2 already, there’s no need to spend $200 for these upgrades. Despite the somewhat underwhelming upgrades (especially in terms of flavor, potency, and efficiency), the PAX 3 is the most reliable and durable pocket vapes with best battery life that you can currently (2019) get. The way I like to do this, is first with a regular grinder and then finish with the MFLB Finishing Grinder. Always pack your oven full and compress it with the PAX loading tool. I like to take slow and controlled sips. But there isn’t any specific draw-technique which works better. Just make sure you don’t put the whole mouthpiece in your mouth when drawing. Put your lips slightly over the edge of your mouthpiece when drawing. For full extraction, always stir your bowl after 4-5 draws. The PAX 3 does smell while heating up and when you keep herb in the bowl (the oven lid is not air-tight). You can get vinyl caps, which you can place on the top and bottom. These will mask the smell to some extent while there's herb in your unit's bowl.